Long hair, short hair, hair-up, hair down, clip-in extensions, weaves -I have literally had it all! But until recently I had never even considered a certain word.... wig or in nicer terms - a hair piece. Over the last few months on twitter and on various places online I have seen so many girls trying out and wearing hair pieces- from the gorgeous girls in Geordie Shore to fellow beauty bloggers such as Liza from GlamBeautys. 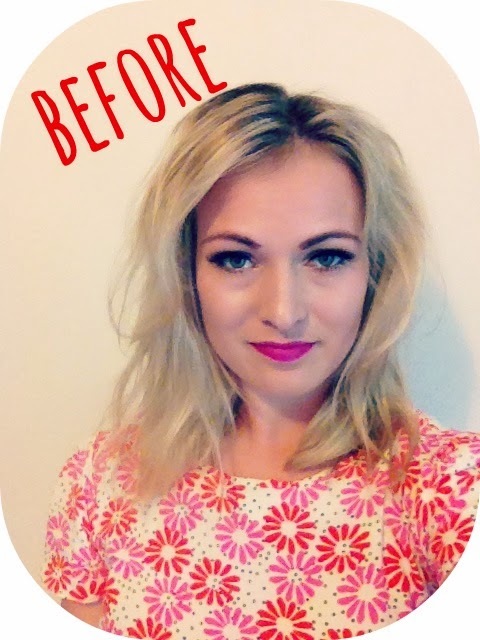 This made me curious... am I wasting time with the pain and hassle of extensions? How much are they? Would I be able to pull one off? So when I was contacted recently about trying a hair piece out I jumped at the chance. Some of you may have seen this photo I put up at the weekend on Instagram and twitter saying "new hair don't care" and I have to say the response was insane. 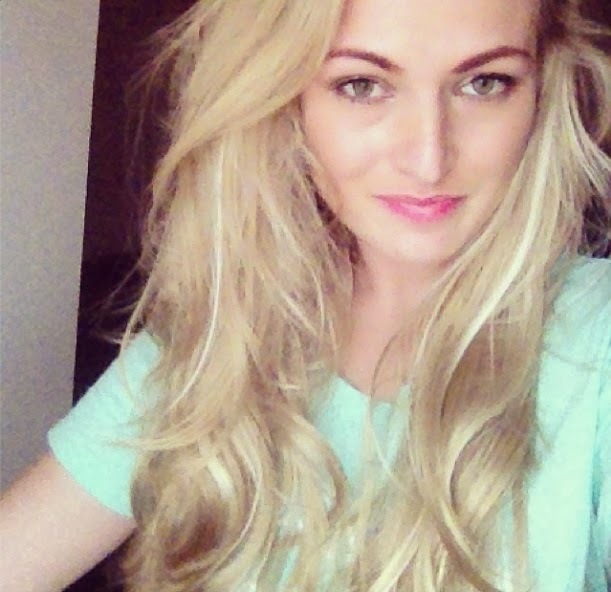 So many of you and my friends were wanting to know what I had done to my hair - was it a weave? were they bonds? my usual clip-ins? but nope - it is a hair piece! 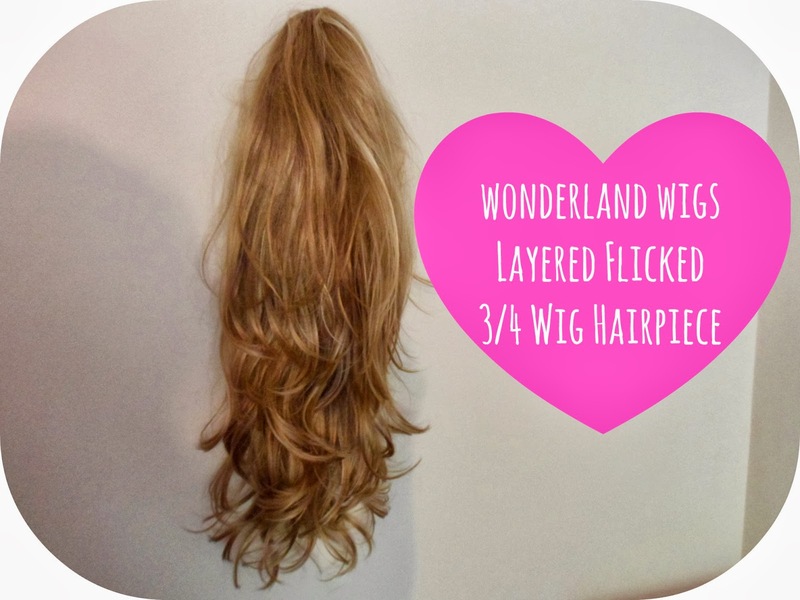 This is the Layered Flicked 3/4 Wig Hairpiece from Wonderland Wigs in the blonde shade 24/613. The word wig is bound to freak people out, it did me. But the lovely people over at WW encouraged me to give it a go and see how I liked it... and I love it! The hair is synthetic but where it is already permanently styled you don't need to worry about using heat or products to style it yourself. Saying this, this was probably the only thing that scared me a little about trying it. The hair is not real human hair like most extensions I am used too and the only thing that thi menas really is that it does have a little bit of extra shine to it but I honestly don't think it notices that much and I am very particular when it comes to things like this! It is still as soft and nearly as natural as my clip-in extensions that I use now and then. Now... lets talk about the application. It couldn't be more simple really, just put you put your hair into a low pony tail leaving out two large sections at the front and then grip it upwards onto your head, leaving the back of your head nice and flat. You then just grip the top slide just in front of the crown of your head and fasten the other underneath your ponytail, it literally couldn't be easier. After that just style the front to conceal the join where the hair piece starts and you are ready to go! I have found it works best if I have a quiff, wear a hairband or try and clip both sides back blending my hair and the synthetic hair together. HERE is a YouTube video to help you out a little more with the process. This particular piece is only £25.99 - a fraction of the price of extensions nowadays and even though it isn't human hair you get twice as much for your money - thick and fabulous! And because they are so cheap it means you can buy more of them right!? 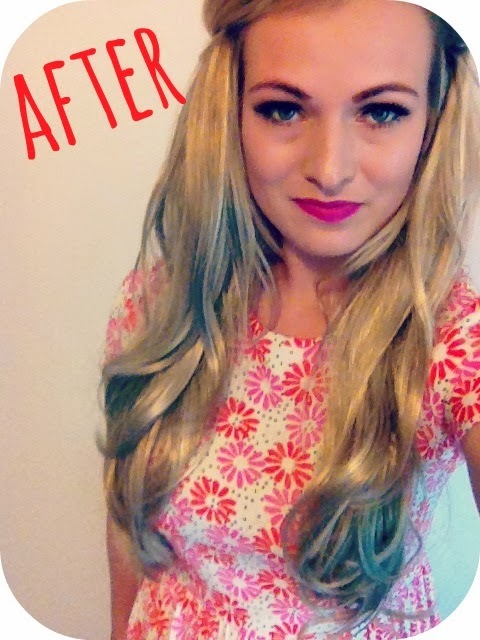 I cannot stop going through the Wonderland Wigs website and looking at all the other pieces and extensions they have, I need more in my life - such a fantastic, quick and cheap way of changing your look without any extra damage or effort. I really want to try the Blonde Dip Dye Extensions (Mixed Blonde/Pale Pink) they look so cool! I would like to say a special thank you to all the girls at Wonderland Wigs who have all been so lovely and helped me out alot - go and follow them on twitter - @WonderlandWigs. Have you tried out any wigs or hair pieces? I have been so pleasantly surprised and proud that I went out of my comfort zone and tried something new! Oh. My. God. I can't believe how real that looks! It really suits you! I also noticed Vicky on Geordie Shore wore a hair piece but I never really looked into it. It looks so natural! I haven't used any clip-ins or extensions for that matter because I have long hair. These look so amazing - I want one! These look so good! You can't tell you've got the piece in at all! Fab! Oh my gosh this really suits you! 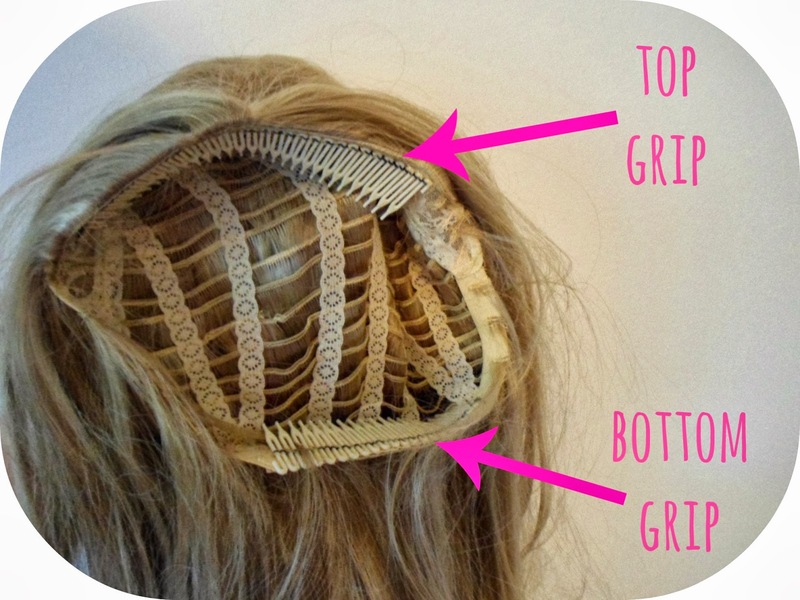 I have tried clip in individual extensions but never a 'wig' as such!! that is amazing.. you look beautiful! Oh wow, this looks amazing on you! These do look kind of cool but I should tell you that the synthetic wigs available these days work just as well and they've got something to offer too because they're cheaper.